The information in this guide will give you a better understanding of credit, credit scores and credit reports, as well as how to keep them all in good standing. Learn about what qualifies as credit and why it’s important to have credit in the first place. If you’ve never established credit before, you’ll learn how to start building a positive credit history from the very beginning. If you already have some credit, but need to know how to build additional good credit, you’ll get information about adding to your credit history, too. A big part of building good credit is establishing good credit habits. If you get in the habit of making consistent payments, paying off debt as soon as possible and not overusing your credit, it’s much easier to maintain a good credit score. Learn how a positive credit history is necessary for Home or Auto Loans, and how to improve and maintain a good credit rating to get the best loan rates possible. If you haven’t maintained good credit habits or have run into trouble along the way, you’ll also find out how to help repair a bad credit score. Learn about the differences between good and bad credit scores at each credit bureau, and how each scoring model can affect your score. Discover how to check your credit score and keep track of your credit history so you can continue to improve your credit rating. Finally, you’ll discover how to help protect yourself from credit fraud, how to look for fraudulent activity, what the most common scams are and what to do if you become a fraud victim. Mission Fed offers security measures to help protect your personal information, and we can help you learn to improve your own security, too. Maintaining a good credit score and positive credit history is essential to your financial future. We want you to understand how short-term actions can save you money and hassle in the future. At Mission Fed, our members come first, and your success is our bottom line. 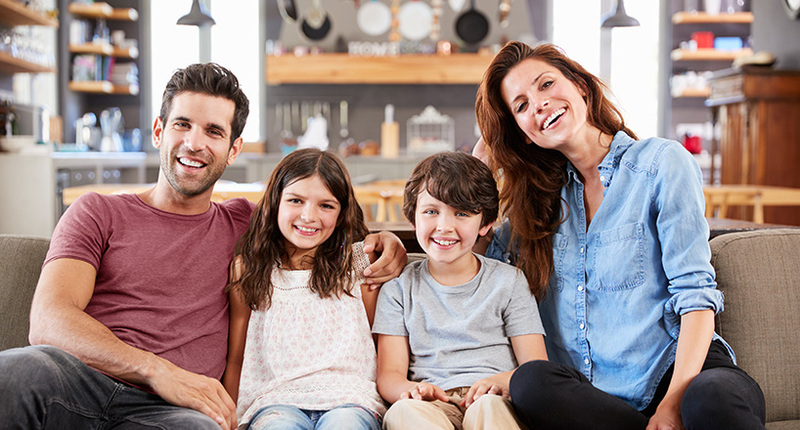 We’re here to help you understand how to build credit to reach your financial goals, or as we call them, Mission Fed Moments. Credit is money you’ve borrowed that you agree to pay back with charges and/or interest within a mutually agreed-upon timeline. 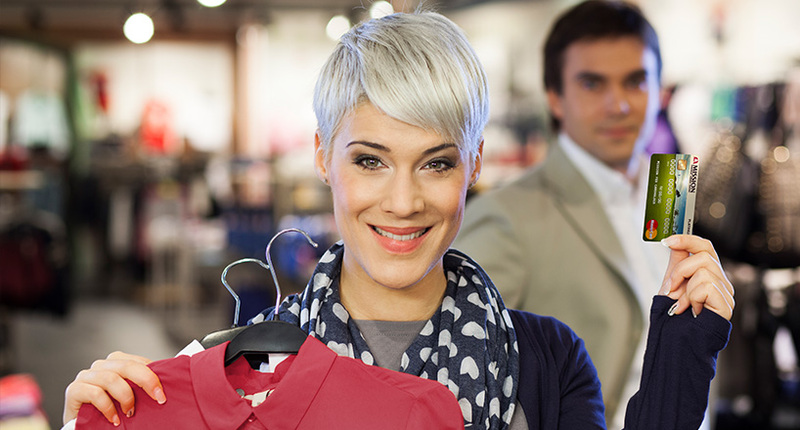 Credit is a necessary means for most people to make large purchases. Usually, when we talk about credit, we’re talking about loans. The first kind of loan is an installment credit loan, like auto loans or home loans. The lender loans you a specific amount of money and you make regular payments, with interest, over a pre-specified amount of time. Revolving credit loans, like most credit cards, offer a credit limit, allowing you to make charges up to that amount. Revolving loans require varying payment amounts depending on the balance you carry and interest rate. Credit history and credit scores are based in part on how we pay back these loans, which affects our standing as a borrower and our ability to obtain future credit. So, what is a credit score? It’s a three-digit number created by a computer program based on your credit report. Your credit score helps creditors decide how much of a financial risk it is to lend you money. Credit reports compile information based on your financial history including past loans, current loans, payment history, account inquiries, the total amount borrowed and your current monthly payments. Credit problems like bankruptcy, foreclosure or loans in collections or default will also be on your credit report. This information is used to create your credit score and can impact the likelihood of being approved for a loan in the future and the rate you’re offered. There are several models of credit scoring, each with slightly different score ranges, but the most commonly used are the FICO® and VantageScore models. Both FICO and VantageScore models use the 300 to 850 score range, with a higher score indicating a lower financial risk. Now you may be wondering, “Why do I need good credit, and what is credit for, anyway?” The importance of good credit is essential to allowing you to make large purchases, like a new car or home, without having to save up the full purchase price in cash. Imagine having to save $550,000 in cash before ever being able to purchase a house! To be eligible for bigger loans down the road, you will need to establish a good credit history by building credit over time. Start by getting a secured credit card, which is backed by a cash deposit you make in the amount of your credit limit. It’s important to make all of your payments on time and in full on credit cards and other bills, and keep your accounts open as long as you can, hopefully for years, to demonstrate good payment history. When it comes to paying larger loans and credit cards back, the importance of good credit becomes paramount. Your credit score determines interest rates, loan terms and finance charges, as well as whether or not you’re eligible for certain loans at all. Good credit saves you money, while the consequences of bad credit could be paying much more than you need to over the course of the loan, or an inability to even get a loan. Good credit habits help you maintain a good score. Additionally, while a good credit score is important for purchases, it can also be a determining factor for future landlords and even some employers, depending on your position or the company. There are a lot of misconceptions about how credit actually works and what you should and should not do to maintain good credit and avoid negative reporting on your credit history. It’s important to know the facts to make sure you’re using your credit responsibly and doing what you can to keep your credit score in good shape. Here are five common credit misconceptions and the truth behind them. Checking your credit score or credit report always lowers your score. When you check your credit score or credit report it counts as a soft inquiry, which does not count against your score. Hard inquiries—like those from a creditor, lender or collection agency—do lower your score. Find out more about the differences between these inquiries in the “How to Check Your Credit Score” section below. There is only one credit score per person. There are three different credit bureaus creating credit scores, and each credit bureau has several scoring models. As such, you actually have quite a few different credit scores at any given time, each with a slightly different scale. When you or someone else is checking your score, make sure you’re clear on which credit bureau you’re looking at so you understand exactly what shape your credit is in. Learn more in the “What is a Good Credit Score” section below. Credit reports are 100% correct. Unfortunately, there are often inaccuracies found on credit reports, so it’s important to check your credit reports at least once a year to look for anything that is incorrect or may indicate fraudulent activity. Double-check your personal information—like address, date of birth, Social Security Number and aliases (or all the versions of your name you might have used)—and look through credit inquiries to make sure you don’t see anything suspicious. Use it wisely or lose it when it comes to credit cards. You don’t want to use all the credit you have available, nor do you necessarily want to close old accounts. In fact, you should avoid using a large percentage of your available credit or it will lower your credit score. Keep the ratio of debt to available credit low in order to keep your credit in good standing. Keeping older, paid-off accounts open helps to keep that ratio low as well. Missing one credit payment won’t make much of a difference. Actually, missing even a single payment on your credit card can cause a significant drop in your credit score, anywhere between 100 and 300 points! The point drop is higher with a higher balance on your card. Don’t let one missed payment cause you two years of credit damage. Pay your bills on time and in full to keep your credit score in good shape. Make sure you’re clear on what helps your credit and what hurts it to maintain a good credit history. When you’re learning how to check your credit, there are a few things you should know first. Search “check credit score” online, and you’ll discover there are three major credit bureaus serving the United States: Equifax, Experian and TransUnion. These companies collect information from creditors to then sell to lenders or other creditors when you apply for new credit. Most credit information collected by each bureau is the same, though there are some differences between what each bureau collects and how the information is used. For example, Equifax and Experian only note the name of your employer, while TransUnion reports more detailed information about your employment. Additionally, each bureau uses a different FICO or VantageScore scoring method with a different algorithm. As such, it’s possible that when you check your credit score with each bureau, you could see different score results. Your scores typically won’t differ dramatically with each bureau, but if they do, it’s likely one bureau has different data to contribute. You’ve probably heard checking your credit score too often can negatively affect your score and wondered, “How can I check my credit score without losing points?” Learn how to check credit score websites properly, and how to get your credit report for free, as well as the difference between a hard inquiry and a soft inquiry. Hard inquiries do affect your credit score by about five points, and count against your score for approximately 12 months. Hard inquiries are made by a lender or business after an application for credit, or by collection agencies. Thankfully, when you shop for a mortgage or auto loan, you’re allotted a certain timeline (usually about a month) to complete all your loan inquiries without risking a reduction to your score each time. Soft inquiries, on the other hand, don’t affect your score at all. Soft inquiries are made by anyone approved to do a background check or a check for a loan offer, or by an individual to check their own credit. You can check your credit anytime without it affecting your score. When you’re first learning how to get your credit report, a quick “how to check my credit report” search will bring you to any number of sites. Many companies charge for this service, but you are allowed one free credit report per year under federal law. 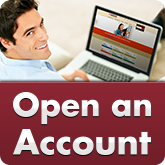 You can visit AnnualCreditReport.com to get your free annual credit report. Request free reports from the three credit bureaus mentioned above, and review the information carefully to check for inaccuracies. Your credit report can be obtained for free, but you will need to pay to receive your credit score. You can pay for your score through the three credit bureaus, or you can get a full credit report or 3-in-1 report that offers scores and reports from all three credit bureaus by contacting FICO or VantageScore directly, or by using a credit monitoring service to get detailed information monthly. If you want to know how to build up credit, you need to first learn how to establish credit. Without any credit history, you’ll have trouble getting approved for a loan, a credit card or even sometimes for a lease on an apartment. It can be difficult to figure out how to build credit. Start small establishing some personal loans, credit cards or department store accounts. Paying on time (and preferably in full) is how to build your credit score, use your new credit accounts wisely and pay on time. Another option is to try a secured credit card, which is often tied to a savings account and allows a spending limit the size of that account or smaller, generally $300 to $500. 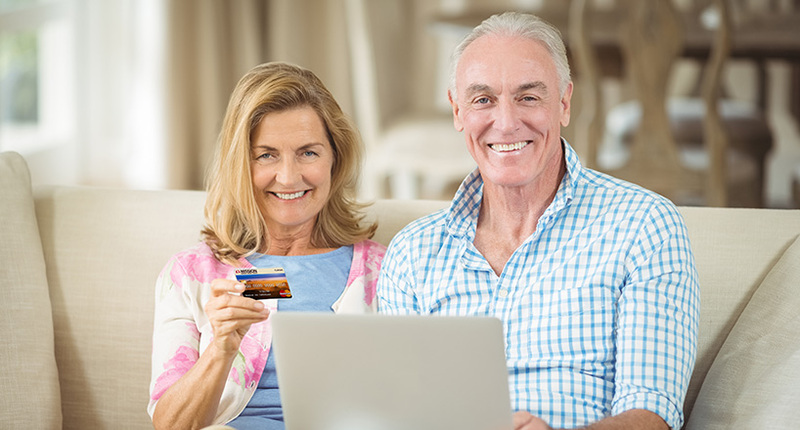 You’ll use the card normally like a regular credit card, and lenders will feel secure because of the money in the connected savings account. Pay your rent on time—some landlords will report this to the credit bureaus, and it will reflect a positive rental history and help your score. If you know how to build credit, but need help building your credit up even more, there are several options. If you don’t yet have a credit card, open your first one to create a positive credit history. Make small charges and pay them off right away so you don’t carry a balance—it’s easy with Mobile Banking. If you already have a credit card, you can request a higher credit limit. Even if you’re used to paying your full balance on time, using just a small amount of available credit will help build up your credit score. Long-term responsible spending and timely payments will help consistently increase your credit score and your creditworthiness. You can also build good credit by consistently making all loan payments on time. Set up automatic payments to help keep payments on time. Student loans, auto loans, home loans, personal loans and even some secured loans all report payments and payment problems to the credit bureaus. Paying at least the minimum loan payment amount on time builds credit score points without making major changes to your current spending and payment habits and schedule. What Credit History Is Needed for a Home or Auto Loan? It may surprise you to learn that different industries use different scoring models to determine whether or not to lend you money. You should be aware of differences between the scores used for home loans and auto loans, as well as the kind of credit history you’ll need to obtain loans. Credit bureaus offer industry-specific scores to give lenders providing those specific loans a better idea of whether or not you’re likely to pay them back. 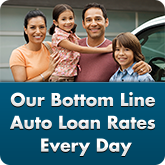 A FICO Auto Score, for example, is based on your previous car loan credit history. This history will reflect if you’ve made late payments or skipped payments on auto loans, if you’ve had a car repossessed and if your auto loans ever went to collections or were included in a bankruptcy. Lenders for large loans like auto loans or home loans will often look at multiple scores to get a full picture of your credit history and past credit habits. Because of this, you’ll want to have established a solid history of consistent and timely repayment. The amount of debt you currently have also comes into play, as lenders will pay attention to how much money you’ll be paying toward your debt and bills each month. Your credit history should show that you pay your bills on time each month, without missing payments, and have done so for many years. Make sure you review your credit reports to check for any errors and correct inaccuracies immediately. Finally, pay close attention to the order in which you apply for an auto or home loan and how one could affect the other. When you apply for a loan, lenders look closely at the payments you make each month and whether you’ve made them consistently. This helps them ascertain whether you’ll be able to make the payment for the loan they’re considering giving you. If you have a large auto loan payment and a couple years left on your term when you apply for a home loan, the home loan lender may be hesitant to give you a loan that results in another large monthly payment. Try not to apply for large loans or lines of credit all at once to avoid getting turned down. Ultimately, your credit history should show that you are responsible with loans and credit, and that you have a long history of on-time repayment. It should also show that you don’t have a large amount of debt that could keep you from being able to repay a home or auto loan. A credit history that shows responsible debt repayment and reasonable credit balances will help you get the auto or home loan you need. Use credit cards wisely and maintain a good percentage of available credit. 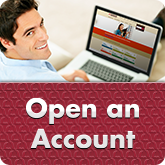 Carry long-term credit accounts, such as an auto or personal loan. Show history of a variety of credit types. Doing these things helps you get the best possible terms and interest rate on loans and credit offers—saving you money in the long run! Much like understanding a good score, knowing what a bad credit score is and how you could get one can help you maintain a good score. What is considered a bad credit score under one model at one lender may actually be considered fair under another model at a different lender. However, generally speaking, any credit score between 300 and 630 is considered poor or bad. A credit score in the poor range can make it difficult to get approved for loans and credit cards, and you may have trouble finding a landlord willing to rent to you. Applying for multiple credit cards or accounts over a short period of time. Late or missed payments on loans or credit cards. Being sent to collections for nonpayment on loans, utility bills, phone bills or bad checks. High balances on credit cards. Defaulting on a loan, foreclosing on a home loan or filing for bankruptcy. Knowing what is considered a bad credit score and how to avoid earning one is a great way to keep your credit in good shape. If you have a bad score now, you can improve it with long-term diligence, regular credit monitoring and an action plan. Wondering, “How can I improve my credit score?” If your credit score is lower than you’d like, learn how to improve your credit score with a few simple tips. Pay every bill and payment on time by keeping a calendar of due dates or using automatic payments. Keep the percentage of credit used compared to the percentage of credit available to use, or your credit utilization ratio, at 30 percent or less. Keep credit inquiries to a minimum since hard inquiries remain on your credit report up to two years and can affect your score. Focus on paying down debt, and don’t use credit unless necessary until it’s paid off. Monitor your credit report regularly and correct any errors you find. Close unused revolving accounts—keep paid-off revolving accounts open to minimize your credit use ratio. Allow any payments to become delinquent or get sent to collections. Be careless with your passwords or personal information—identity fraud can ruin your credit. Continue using your credit cards while trying to pay them down. Start applying for loans and new lines of credit until you’ve seen your score improve. Rely on just one kind of credit—showing good habits on varied forms of credit helps your score. Remember, improving and building your credit is a long-term goal that can take months or years. Set realistic short- and long-term goals for your credit score as you continue to work on it. Bad credit habits may stick with you for a while, so there isn’t a quick solution. Different kinds of negative credit information remain on your credit report for varying amounts of time. Delinquencies can stay on your credit for seven years, as do most other public record items, while some public record reports, like tax liens or certain bankruptcies, stay on your credit report for 10 years. Hard inquiries only stay on your report for two years, but having several in a short period of time can bring down your score. Learning how to fix credit can be intimidating when you know your score isn’t where you want it to be, but with patience and careful planning, you can do it! Apart from your own credit habits, identity theft and credit fraud are the biggest threats to maintaining a good credit score. To safeguard your credit, know exactly what is considered credit fraud. Credit fraud is using credit to make a purchase without the intention of paying that money back. Credit fraud can be the result of a stolen credit card or credit card number, identity theft or simply unauthorized use of someone else’s credit. These can be the outcome of lost personal information, stolen or carelessly disposed mail, someone watching you enter information at a store or ATM or responding to a phishing scam or fake phone solicitation. How can you protect yourself from identity theft and credit fraud? Be careful about whom you give personal or financial information to, and never leave important documents laying around. Shred old credit cards and documents with your identification information. Never give personal or financial information to anyone over the phone or Internet unless you’re positive the person is who you believe them to be. 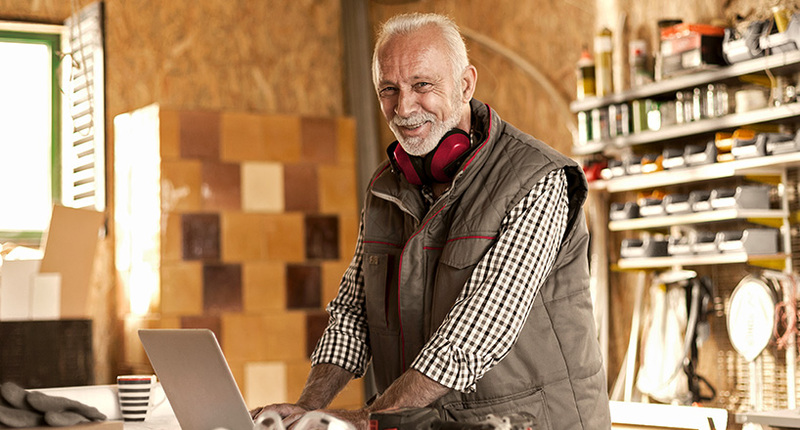 Don’t use open unsecured Wi-Fi connections to conduct financial or personal business. Use unique usernames and passwords for banking and other websites that handle your personal and financial business. Check your bank statements and billing statements for abnormal charges or transactions, and look out for bills that are unfamiliar. Check your credit report at least once a year for inaccuracies and evidence of fraud. Know what fraud protections are offered by your credit union or bank, credit card companies and loan companies. Is the bank insured by the Federal Deposit Insurance Corporation (FDIC) or is the credit union insured by the National Credit Union Administration (NCUA)? 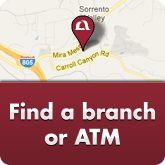 Does this financial institution subscribe to security industry alerts to stay up to date on threats? What protections do they offer as far as fraud alerts for customers? How do they protect customers using online banking or mobile banking? Do they use firewalls, modern encryption or security audits? How do they vet the security of other companies or vendors you work with? Knowing how your lenders and financial institutions help protect you is as important to your personal and financial security as being careful yourself. To protect yourself from fraud, it’s helpful to know what the most common fraud scams are and how criminals are able to obtain your information. These are some of the more common scams that you could come across. Appealing to your desire to help. Thieves know they’ll have an easier time getting money from you if they can convince you that you’re helping someone. Phone calls and emails claiming to be a part of a charity, disaster relief or other nonprofit organization are often the source of financial fraud. If you want to donate money to a charity or organization in need, contact the organization directly to donate. You may also receive emails from people abroad claiming to be in danger. If anyone you don’t know asks for your credit card or account information, do not give it to them. And if a friend or family member needs your information, confirm it is them and not someone who has stolen their identity. False emails from friends or family. If you receive an email from someone you know that doesn’t have the usual niceties and contains a link, do not click the link. Even if it looks legitimate, it’s worthwhile to check in and find out. Email accounts that are underused are often prime for hackers to take over for scams. If anything strikes you as short, curt or unusual for that person and it contains a link, contact them directly before clicking anything. Requests to cash a check and wire a portion back. If you receive a request to cash a check and then wire part of it back—making it sound like you’re getting paid in the deal—be highly suspicious. These checks are usually counterfeit, but you won’t discover that until you’ve already wired your own money to the thief. Never agree to a situation like this. If it sounds too good to be true, it probably is. Claims that you’ve won a special prize, trip or sum of money. We’ve all gotten that phone call before: “You’ve just won a trip to the Bahamas! Press 1 now to claim your prize!” As wonderful as it would be to win a contest you never entered, you should be immediately suspicious of surprise winnings. Often, these scams tell you to provide personal information or pay “fees” in order to claim your prize. You’ve then given them everything they need to further victimize you. Getting close and using emotional appeals. Don’t allow anyone you don’t know well to sweet-talk you into sending money or giving them your personal or financial information. Even if someone spends time with you online and claims they love you or are related to you, be highly cautious if you’ve never met. Always know exactly where your information is going, and never be afraid to double-check the source. Phishing. This is probably the most common fraud scam out there. Phishing emails appear to be from an official source (like a bank, social network or delivery company), thereby convincing you to click on the provided links, which takes you to a fraudulent website. Here you have to provide your username and password, as usual, at which point you’ve given them everything they need to scam you. Phishing scams often claim something has gone wrong or that you’re in financial danger in order to create pressure for you to act quickly. If an email claims that you need to act right away and offers a link, do not click. Instead, go directly to the institution’s website to access your account. You’ll usually find that everything is just fine. When in doubt, call and confirm that all is well. While these are some of the most common fraud scams out there, these are just a sampling of ways you can become a victim of a scam. Be vigilant about keeping your information safe and always confirm the legitimacy of an institution or person before making any kind of payment. Find out what fraud protections your financial institution offers to help keep your money safe from scams. If you think you’re a victim of identity theft or fraud, know how to protect yourself and report the fraud immediately. Following these steps can also help repair your damaged credit faster. This information can change periodically. For the most current fraud and identity theft information, contact the Federal Trade Commission and review their website. Keep a list of numbers for your financial institutions or lenders in case of fraud. If your credit card is lost or stolen, or you discover fraudulent charges on your statement, call your credit card company right away and report the loss and false charges. If you see incorrect or false reports on your credit, place a fraud alert on your credit reports and carefully review your reports and statements. Write a detailed letter of dispute for each inaccuracy and send it, with a copy of your credit report and the highlighted error, by certified mail. Close accounts you know or suspect have been used or opened fraudulently. File a report with your police station or the station in the area in which the fraudulent charges took place. Get copies of the report to help in a dispute. Unfortunately, if you’re a victim of credit fraud, it can negatively impact your credit score—particularly in the short term—on top of the other negative consequences. Depending on the extent and specifics of the fraud, and how soon you caught it, your score could drop over 100 points. You can eventually repair your credit report and have fraudulent reports stricken from your history, but it can take months of reporting, disputing and verifying personal and financial information. Because of this, it’s especially advisable to monitor your credit reports regularly to catch anything unusual and report discrepancies quickly. Reporting anything suspicious immediately can help keep fraud from negatively affecting your credit. Learning why credit is important and how to use it wisely is valuable for your future. If you don’t understand how credit works, you could unintentionally misuse it and, ultimately, end up owing more than you can afford to pay back. Understanding how to maintain a good credit history and earn a good credit score can help save you money, time and stress, assisting you with reaching your financial goals. 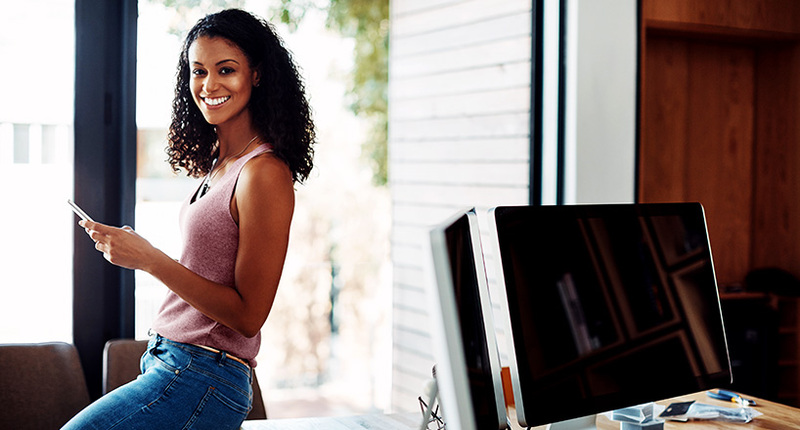 With adequate financial education and the responsible use of credit cards, loans and other forms of credit, it’s possible to start out on the right foot and begin building a positive credit history. We all need to rely on credit at some point, but a record of responsible use and consistent repayment can really serve you well when you need to purchase big-ticket items like a home or your next car. When it’s time to buy a home or vehicle and you begin your search for an auto loan or home loan, that positive credit history will help you get a lower rate and better term. Since part of maintaining a good credit history is staying informed about your own credit, knowing how to access your credit reports on a regular basis is a must. Make sure you take advantage of your annual free credit report and pay to see your credit score when needed. Review your credit report information thoroughly and check for errors or signs of fraud. Just in case, you should know where and how to report anything unusual you find on your report. Ultimately, it is your responsibility to maintain good credit and stay on top of your credit score and credit reports from all three companies. If you can do that, you’ll be setting yourself up for years of financial success you can be proud of. 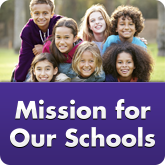 Mission Fed is here to help you along the way. 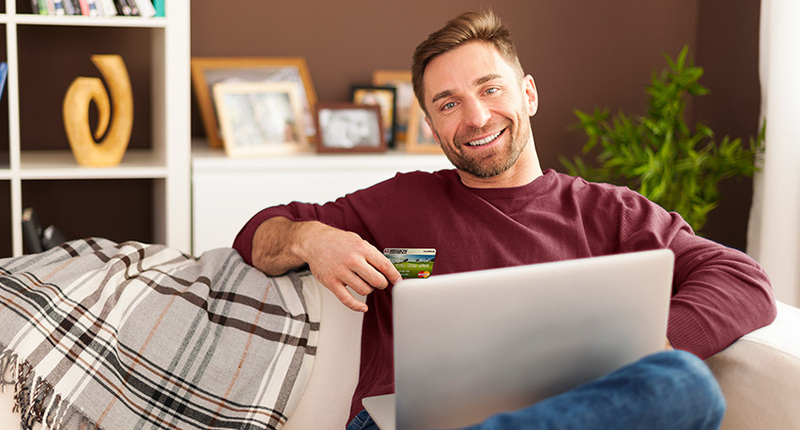 If you’re just beginning to establish credit or looking to build up your credit history, we can help you determine the right Credit Card for you. When it’s time to apply for a loan, our employees offer personalized service to help you understand how to get your best rate on a loan that fits your budget and needs. Your success is our bottom line. We’re ready to help you achieve a Mission Fed Moment and accomplish your financial goals and next milestone.